Quantity: 2pc Brake discs with perforations and notches. 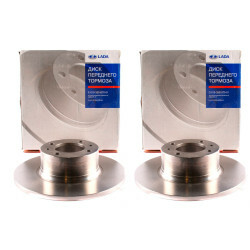 In this section you can buy the brake disks for Lada 2101-2107. 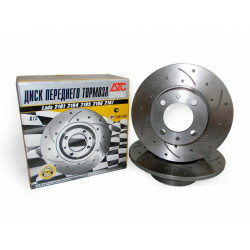 Our company is a major distributor of VAZ brake discs from Alnas, the world's largest manufacturer. This company is the largest manufacturer of cast iron products and uses the most advanced technologies and the best equipment for processing on high-precision lines EMAG and HESSAPP (Germany). The company produces the highest quality products in the volume of up to 1,000,000 units per year. 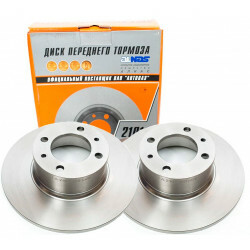 Alnas brake discs are supplied to the plants LADA, "GAZ", "UAZ", "ZAZ", "FORD", "Daewoo" for production cars since 2003. The technology of manufacturing brake discs Alnas is constantly improving, making the choice of buyers more and more obvious.